The wall paintings are, despite inevitable disappearances, a major element of the patrimony of the Bourbonnais. 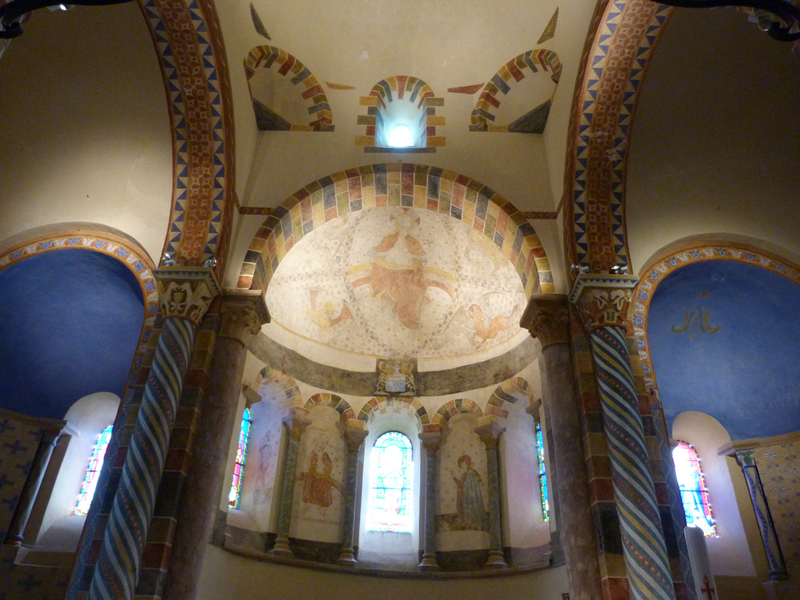 They decorate the churches and the Romanesque and Gothic chapels, on the vast wall surfaces as well as in the smallest of recesses. Thanks to their narrative content they remind us of the great cycles of sacred history. If the Old Testament appears rarely, the three moments of the Life of Christ, childhood, public life and above all the Passion (suffering of Christ on the Cross) unfurl on the walls. The angels and the saints are more and more frequent as the centuries go by. It is not rare to see scenes of the life of the time or descriptions of exceptional events. It is with simple and natural materials (slaked lime, sand, mineral pigments as well as egg whites, charcoal…) that the clerics and people in charge guided the hands of the artists. Two techniques were used :Distemper painting on a coating of slaked lime that had been previouslyhumidified. 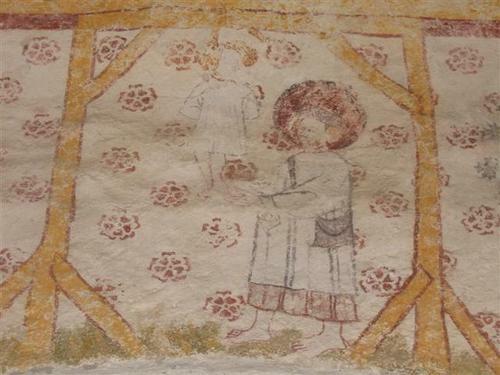 More rarely – frescoes- a layer of coloured coating on a fresh surface. The first being less resistant to time, permitting restoration and corrections of faults and the second being much more resistant to the injuries of time and bad weather and which can not have the slightest touching up.